“What or who is God? The traveller upon the spiritual Way, the further he advances, becomes increasingly conscious of two contrasting facts—of the otherness and yet the nearness of the Eternal. In the first place, he realizes more and more that God is mystery. God is “the wholly Other”, invisible, inconceivable, radically transcendent, beyond all words, beyond all understanding. 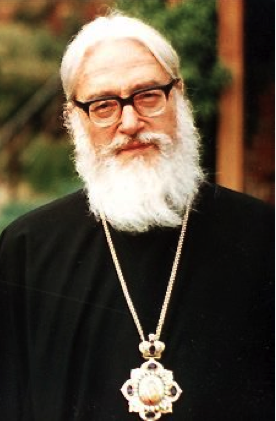 “Surely the babe just born”, writes the Roman Catholic George Tyrrell, “knows as much of the world and its ways as the wisest of us can know of the ways of God, whose sway stretches over heaven and earth, time and eternity.” A Christian in the Orthodox tradition will agree with this entirely. As the Greek Fathers insisted, “A God who is comprehensible is not God.” A God, that is to say, whom we claim to understand exhaustively through the resources of our reasoning brain turns out to be no more than an idol, fashioned in our own image. Such a “God” is most emphatically not the true and living God of the Bible and the Church. Man is made in God’s image, but the reverse is not true. Mystery, yet person: let us consider these two aspects in turn. Unless we start out with a feeling of awe and astonishment—with what is often called a sense of the numinous—we shall make little progress on the Way. When Samuel Palmer first visited William Blake, the old man asked him how he approached the work of painting. “With fear and trembling”, Palmer replied. “Then you’ll do”, said Blake. The Greek Fathers liken man’s encounter with God to the experience of someone walking over the mountains in the mist: he takes a step forward and suddenly finds that he is on the edge of a precipice, with no solid ground beneath his foot but only a bottomless abyss. Or else they use the example of a man standing at night in a darkened room: he opens the shutter over a window, and as he looks out there is a sudden flash of lightning, causing him to stagger backwards, momentarily blinded. Such is the effect of coming face to face with the living mystery of God: we are assailed by dizziness; all the familiar footholds vanish, and there seems nothing for us to grasp; our inward eyes are blinded, our normal assumptions shattered. The Fathers also take, as symbols of the spiritual Way, the two Old Testament figures of Abraham and Moses. Abraham, living still in his ancestral home at Ur of the Chaldees, is told by God: “Go out from your country, and from your kindred, and from your father’s house, to a land that I will show you” (Gen. 12:1). Accepting the divine call, he uproots himself from his familiar surroundings and ventures out into the unknown, with­out any clear conception of his final destination. He is simply commanded, “Go out…”, and in faith he obeys. Moses receives in succession three visions of God: first he sees God in a vision of light at the Burning Bush (Exod. 3:2); next God is revealed to him through mingled light and darkness, in the “pillar of cloud and fire” which accompanies the people of Israel through the desert (Exod. 13:21); and then finally he meets God in a “non-vi­sion”, when he speaks with him in the “thick darkness” at the summit of Mount Sinai (Exod. 20:21). Recognizing that God is incomparably greater than anything we can say or think about him, we find it necessary to refer to him not just through direct statements but through pictures and im­ages. Our theology is to a large extent symbolic. Yet symbols alone are insufficient to convey the transcendence and the “oth­erness” of God. To point at the mysterium tremendum, we need to use negative as well as affirmative statements, saying what God is not rather than what he is. Without this use of the way of negation, of what is termed the apophatic approach, our talk about God becomes gravely misleading. All that we affirm con­cerning God, however correct, falls far short of the living truth. If we say that he is good or just, we must at once add that his goodness or justice are not to be measured by our human stand­ards. If we say that he exists, we must qualify this immediately by adding that he is not one existent object among many, that in his case the word “exist” bears a unique significance. So the way of affirmation is balanced by the way of negation. As Cardinal Newman puts it, we are continually “saying and unsaying to a positive effect.” Having made an assertion about God, we must pass beyond it: the statement is not untrue, yet neither it nor any other form of words can contain the fullness of the transcendent God. So the spiritual Way proves to be a path of repentance in the most radical sense. Metanoia, the Greek word for repentance, means literally “change of mind.” In approaching God, we are to change our mind, stripping ourselves of all our habitual ways of thinking. We are to be converted not only in our will but in our intellect. We need to reverse our interior perspective, to stand the pyramid on its head. Yet the “thick darkness” into which we enter with Moses turns out to be a luminous or dazzling darkness. The apophatic way of “unknowing” brings us not to emptiness but to fullness. Our negations are in reality super-affirmations. Destructive in outward form, the apophatic approach is affirmative in its final effects: it helps us to reach out, beyond all statements positive or negative, beyond all language and all thought, towards an imme­diate experience of the living God. This is implied, indeed, by the very word “mystery.” In the proper religious sense of the term, “mystery” signifies not only hiddenness but disclosure. The Greek noun mysterion is linked with the verb myein, meaning “to close the eyes or mouth.” The candidate for initiation into certain of the pagan mystery religions was first blindfolded and led through a maze of passages; then suddenly his eyes were uncovered and he saw, displayed all round him, the secret emblems of the cult. So, in the Christian context, we do not mean by a “mystery” merely that which is baffling and mysterious, an enigma or insoluble problem. A mystery is, on the contrary, something that is revealed for our understanding, but which we never understand exhaustively be­cause it leads into the depth or the darkness of God. The eyes are closed—but they are also opened. Thus, in speaking about God as mystery, we are brought to our second “pole.” God is hidden from us, but he is also revealed to us: revealed as person and as love. In the Creed we do not say, “I believe that there is a God”; we say, “I believe in one God.” Between belief that and belief in, there is a crucial distinction. It is possible for me to believe that someone or something exists, and yet for this belief to have no practical effect upon my life. I can open the telephone directory for Wigan and scan the names recorded on its pages; and, as I read, I am prepared to believe that some (or even most) of these people actually exist. But I know none of them personally, I have never even visited Wigan, and so my belief that they exist makes no particular difference to me. When, on the other hand, I say to a much-loved friend, “I believe in you”, I am doing far more than expressing a belief that this person exists. “I believe in you” means: I turn to you, I rely upon you, I put my full trust in you and I hope in you. And that is what we are saying to God in the Creed. Faith in God, then, is not at all the same as the kind of logical certainty that we attain in Euclidean geometry. God is not the conclusion to a process of reasoning, the solution to a mathemati­cal problem. To believe in God is not to accept the possibility of his existence because it has been “proved” to us by some theoreti­cal argument, but it is to put our trust in One whom we know and love. Faith is not the supposition that something might be true, but the assurance that someone is there. God, then, is the One whom we love, our personal friend. We do not need to prove the existence of a personal friend. God, says Olivier Clement, “is not exterior evidence, but the secret call within us.” If we believe in God, it is because we know him directly in our own experience, not because of logical proofs. A distinction, however, needs here to be made between “experience” and “experiences.” Direct experience can exist without necessarily being accompanied by specific experiences. There are indeed many who have come to believe in God because of some voice or vision, such as St Paul received on the road to Damascus (Acts 9:1 -9). There are many others, however, who have never undergone particular experiences of this type, but who can yet affirm that, present throughout their life as a whole, there is a total experience of the living God, a conviction existing on a level more fundamental than all their doubts. Even (hough they cannot point to a precise place or moment in the way that St Augustine, Pascal or Wesley could, they can claim with confidence: I know God personally. Such, then, is the basic “evidence” of God’s existence: an appeal to direct experience (but not necessarily to experiences). Yet, while there can be no logical demonstrations of the divine reality, there are certain “pointers.” In the world around us, as also within ourselves, there are facts which cry out for an explanation, but which remain inexplicable unless we commit ourselves to belief in a personal God. Three such “pointers” call for particular mention. First, there is the world around us. What do we see? Much disorder and apparent waste, much tragic despair and seemingly useless suffering. And is that all? Surely not. If there is a “prob­lem of evil”, there is also a “problem of good.” Wherever we look, we see not only confusion but beauty. In snowflake, leaf or insect, we discover structured patterns of a delicacy and balance that nothing manufactured by human skill can equal. We are not to sentimentalize these things, but we cannot ignore them. How and why have these patterns emerged? If I take a pack of cards fresh from the factory, with the four suits neatly arranged in sequence, and I begin to shuffle it, then the more it is shuffled the more the initial pattern disappears and is replaced by a meaning­less juxtaposition. But in the case of the universe the opposite has happened. Out of an initial chaos there have emerged patterns of an ever-increasing intricacy and meaning, and among all these patterns the most intricate and meaningful is man himself. Why should the process that happens to the pack of cards be precisely reversed on the level of the universe? What or who is responsible for this cosmic order and design? Such questions are not unrea­sonable. It is reason itself which impels me to search for an explanation whenever I discern order and meaning. This presence of meaning within the world as well as confu­sion, of coherence and beauty as well as futility, provides us with a first “pointer” towards God. We find a second “pointer” within ourselves. Why, distinct from my desire for pleasure and dislike of pain, do I have within myself a feeling of duty and moral obligation, a sense of right and wrong, a conscience? And this conscience does not simply tell me to obey standards taught to me by others; it is personal. Why, furthermore, placed as I am within time and space, do I find within myself what St Nicolas Cabasilas calls an “infinite thirst” or thirst for what is infinite? Who am I? What am I? In this manner we have, each within our own heart, a second “pointer.” What is the meaning of my conscience? What is the explanation for my sense of the infinite? Within myself there is something which continually makes me look beyond myself. Within myself I bear a source of wonder, a source of constant self-transcendence. A third “pointer” is to be found in my relationships with other human persons. For each of us—perhaps once or twice only in the whole course of our life—there have been sudden moments of discovery when we have seen disclosed the deepest being and truth of another, and we have experienced his or her inner life as if it were our own. And this encounter with the true personhood of another is, once more, a contact with the koepeltranscendent and timeless, with something stronger than death. To say to another, with all our heart, “I love you”, is to say, “You will never die.” At such moments of personal sharing we know, not through arguments but by immediate conviction, that there is life beyond death. So it is that in our relations with others, as in our experience of ourselves, we have moments of transcendence, pointing to something that lies beyond. How are we to be loyal to these moments, and to make sense of them? These three “pointers”—in the world around us, in the world within us, and in our inter-personal relationships—can serve to­gether as a way of approach, bringing us to the threshold of faith in God. None of these “pointers” constitutes a logical proof. But what is the alternative? Are we to say that the apparent order in the universe is mere coincidence; that conscience is simply the result of social conditioning; and that, when life on this planet finally becomes extinct, all that humankind has experienced and all our potentialities will be as though they had never existed? Such an answer seems to me not only unsatisfying and inhuman, but also extremely unreasonable. It is fundamental to my character as a human being that I search everywhere for meaningful explanations. I do this with the smaller things in my life; shall I not do this also with the greater? Belief in God helps me to understand why the world should be as it is, with its beauty as well as its ugliness; why I should be as I am, with my nobility as well as my meanness; and why I should love others, affirming their eternal value. Apart from belief in God I can see no other explanation for all this. Faith in God enables me to make sense of things, to see them as a coherent whole, in a way that nothing else can do. Faith enables me to make one out of the many. To indicate the two “poles” of God’s relationship to us—unknown yet well known, hidden yet revealed—the Orthodox tradition draws a distinction between the essence, nature or inner being of God, on the one hand, and his energies, operations or acts of power, on the other. 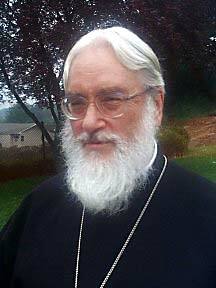 *Bishop Kallistos Ware, The Orthodox Way (NY: SVS, 2002), pp. 11-23. 2 Responses to Who or What is God?